What Do Working Memory Problems Look Like in Kids? With working memory reported to be the number one indicator of academic success, it's surprising that most teachers and parents know little about it. Working memory is like a mental dry erase board where we post information until we need to use it in short-term memory. This information is accessible through one's inner visualizations as well as one's inner voice. 1) Myth: Kids with a weak working memory have ADHD or other learning disabilities. 1) Truth: Some kids just have a weak working memory that doesn't warrant a diagnosis of ADHD or a learning disability. 2) Myth: Kids with a weak working memory can't remember what they learn. 2) Truth: Memory strategies & exercises can bypass and remediate a weak working memory. 3) Myth: Kids with a weak working memory always have problems with executive functioning skills. 3) Truth: Working memory is only one small part of executive functioning. To learn more about executive functioning CLICK HERE. 4) Myth: Kids with a weak working memory have a hard time developing this skill. 4) Truth: Learning to manage one's visualizations and inner voice can strengthen working memory. forget needed materials at home and at school. require prompts to complete homework. have difficulties memorizing math facts. have trouble comprehending a story. have trouble remembering how to use grammar and sentence structure. have difficulty following multi-step directions. have trouble completing complex assignments. need for more time and repetition. What are Three Ways to Improve Working Memory? doing exercises such as those present in the Working Memory and Hemisphere Integration Bundle and Following Directions Bundle. playing games that exercise working memory such as those presented in the Executive Functioning Games Bundle. Developing learner's capabilities to visualize. I offer both PowerPoints and fun activities that help to develop this skill. To learn more CLICK HERE. Managing one's inner voice. I offer a blog that can tell you more about developing this skill as well as task cards. Providing fun and engaging activities that require working memory such as Red Light, Green Light can help. However, ready-made activities that specifically exercise working memory can save time and focus an intervention plan. Come download some FREE SAMPLE ACTIVITIES. 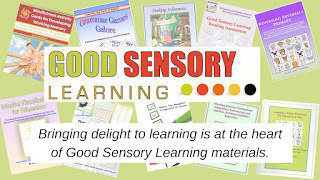 Also, if you would like to learn about all my multisensory tools that develop working memory, CLICK HERE. 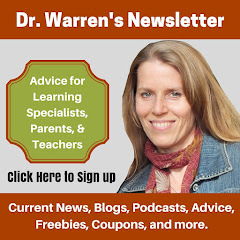 Dr. Erica Warren is the author, illustrator, and publisher of multisensory educational materials at Good Sensory Learning and Dyslexia Materials. 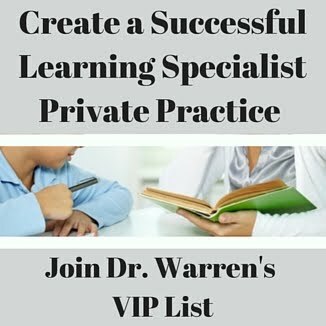 She is also the director of Learning to Learn and Learning Specialist Courses.